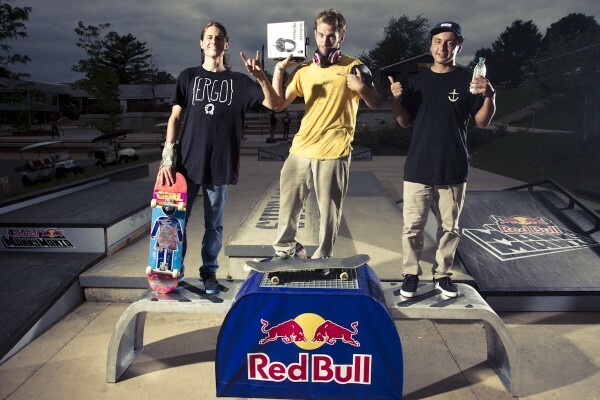 Dan Corrigan reached deep in his two-wheeled bag of tricks yesterday to win the Red Bull Manny Mania U.S. Am National Final at Woodward East in central Pennsylvania. Dan grew up 115 miles away in Hanover, Pennsylvania, but he had never been able to attend Camp Woodward until winning the Baltimore U.S. Manny Mania Am event and earning a trip here. He stamped another ticket with his first place finish on Saturday as he will be going to New York City to represent the United States at the Red Bull Manny Mania Am World Final at Coleman Park on August 18. It was a close final between Dan Corrigan, Weston Sparks and Ray Maldonado. Dan's consistent technical manny combos all over the course earned him the win. After the contest Joey Brezinski told Dan that he was impressed by the frontside half Cab flip to nose manny he landed during competition. The contest was made up of eight amateur winners of local qualifiers around the country and one wild card. Dan's opportunity to skate in the Red Bull Manny Mania Am World Final puts him one win away from competing against the pros in the Pro Contest on August 19.